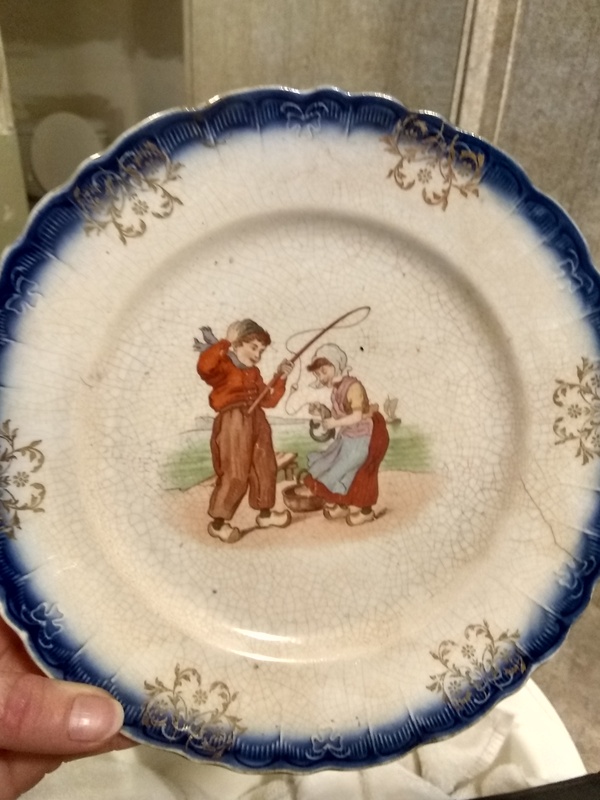 China decor plate with a picture of young boy and girl setting up a fishing rod to go fishing. Looks like they are wearing wooden Dutch clogs with traditional Dutch clothing. The plate is bone and the outer rim of plate has royal blue and gold rim . Very old looking, have no idea but I wish I did.